The 260-member juggernaut: Will it drive BBMP haywire? How much richer have the re-elected corporators become in five years? Garbage and potholes top the list of problems in Bengaluru. The survey also shows that most respondents don’t care for the candidate’s party or caste. The BBMP Elections 2015 were held on Saturday August 22nd. While there was much talk of people wanting to see change in Bengaluru, the final voter turnout was only 44 per cent. Apathy, poor quality of candidates, issues with the voter roll, even the weather, were cited as reasons for the poor turnout. Results were finally annouced on Tuesday August 25th and saw BJP take the reins of the city council once again with a simple majority of 100 seats. Congress trailed them with 75 seats, followed by JDS with 14 seats, and Others (Independent candidates + Other parties) with 8 seats. 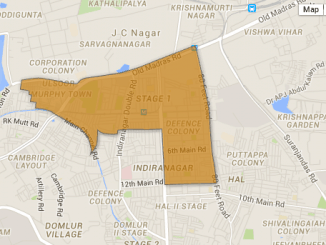 Click here to view the results of the BBMP Elections 2015. For each zone, we mapped ward details, past council details, number of voters, etc. For some select wards, we had details about the state of the ward — the demographics, infrastructure details, the tenders and development works executed, issues raised by citizens and more. We also added details of contesting candidates as we got info. Click on the map or on the zone/ward names for more information. We thank Janaagraha Centre for Citizenship and Democracy and BBMP Restructuring Committee for the data they shared with us, and Thejesh GN for the ward maps. Their help enabled us to form pages for BBMP Elections 2015. Please note: If you are journalist and have used the resources on this page to produce articles for your newspaper, do remember to credit Oorvani Foundation/Citizen Matters appropriately. Thanks. An independent coverage of the elections is essential to ensure that citizens get an unbiased outlook on those standing for the elections. And Citizen Matters presented just that – a non-partisan, independent account of all the Elections News in Bengaluru. If you found our coverage of the BBMP Elections 2015 useful and want to support our work, here’s how you can help us: Make a donation to Oorvani Foundation. Donations are eligible for 50% deduction under Section 80G. 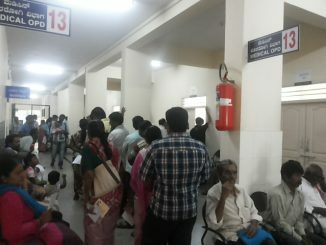 Only 1249 dengue cases in Bengaluru since January. Really? Every other person in Bengaluru complains of dengue. However the official dengue figure is projected at 1249 cases this year so far. What is the reality? An in-depth article. Jal Mitra celebrated its second year anniversary recently. 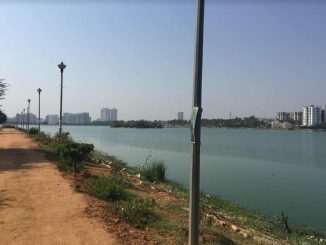 A volunteer from this group actively involved in the preservation of Rachenahalli Lake, shares its road map on how you can save your local lakes. What were the works done in Hoysala Nagar ward in the last five years? How much money was spent? What are the issues troubling the residents?